Virtually travel around the world as you "Cruise with Chris" on her cruise journeys. Learn tips that will help you on YOUR next cruise vacation. Share YOUR experiences with readers. Escape, if only briefly, from reality as you put YOURSELF in these exotic destinations. A year ago we closed our eyes together, remembering our favorite sunset as the year faded away. Together we hoped that there would be brighter tomorrows as we were filled with concerns about the recession. Close your eyes once again and picture the warm calming glow of the sun as it dips behind the palm trees. The artist completes the final brush strokes on the canvas of 2009 today as this difficult year draws to a close. "The sun'll come out Tomorrow Bet your bottom dollar That tomorrow There'll be sun!" Pehaps these words from the popular musical "ANNIE" were the inspiration for the cruise lines to continue with shipbuilding projects despite the down economy. 2009 saw the introduction of several new cruise ships including Aida Cruises AIDALuna, AMAWaterways MS Amalyra and MS Amadolce, Carnival Cruises Carnival Dream, Celebrity Cruises Celebrity Equinox, Costa Cruises Costa Pacifica and Costa Luminosa, MSC Cruises MSC Splendida, Royal Caribbean Oasis of the Seas, Seabourn Cruises Seabourn Odyssey, Silversea Cruises Silver Spirit, and Viking River Cruises Vilking Legend. The top attention getter among these ships was Royal Caribbean Oasis of the Seas (shown here arriving in its home port of Fort Lauderdale). At 220,000 gross tons, it is the largest ship afloat for any cruise line. Many of the other ships introduced were also the largest ship amongst their respective fleets. Silversea Cruises Silver Spirit is the smallest cruise ship introduced this year, weighing in at just 36,000 gross tons, (do the math - that's 1/6th the size of Oasis) but it is still the largest in the fleet. Is bigger better? Time will tell. For more information about these new ships, see the Ships & Itineraries tab for the respective cruise line on my website. It looks like the cruise line's bets have paid off. Passengers are saling once again and 2009 saw a dramatic increase in first-time cruisers. The secret is out - cruising is a good value. As I've mentioned before, you don't want to wait to book your next cruise. Cruise line executives have told me that prices will be rising. When you see a good deal that interests you, lock it in with a deposit - you have until final payment to change your mind. Cruise vacations make memories that will last a lifetime. Once again I was fortunate to create some new memories and share them with you. One of the highlights of this year's cruises was our Tulip Time Cruise on AMA Waterways Amalegro. Colorful tulips danced in the wind like ballet dancers on stage. What could be better than a Belgian Waffle topped with fresh strawberries and Belgian Chocolate? My mouth waters as I think about the good eats from our river cruise. Several more cruise ships will be introduced in 2010 including Royal Caribbean Allure of the Seas and Norwegian EPIC which will be the attention getters due to their size and innovations. I will continue to bring you the very latest cruise industry information drawing upon various resources such as seminars at sea, personal cruises, and other conferences with industry leaders. It appears that we may have seen the worst of the economic situation and recovery will begin. That could bring the reintroduction of fuel surcharges as prices increase. The sun will come out tomorrow - so get out in the sun and have some fun on a cruise ship. Let us close the book on this historic year together. Tomorrow, when you awake, open the book on what I hope will be a brighter tomorrow. Happy, Healthy, Propserous New Year to all!! THIS OFFER ENDS MARCH 14. 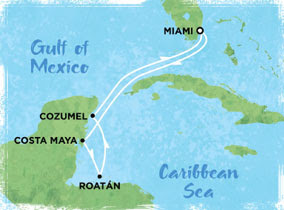 Norwegian Epic: All Eastern and Western Caribbean sailings.Up to a 6-category upgrade PLUS, 50% reduced deposit* Sailings starting from $90/Day. Find Your Cruise. If you aren't already booked on a cruise for the rest of this year, it's probably too late. There are a few cabins left, but you'd have to be pretty flexible. Does this idea sound really good to you though? Plan early for holiday cruises since they are very popular. The busy wave season is almost here. Cruise lines will have specials and everyone in the midst of winter storms will be thinking about getting away to somewhere warm. My advice to you is not to wait too long to start planning your winter cruise for several reasons. These are three very good reasons to plan now for next year's cruise vacation. You have nothing to lose by booking early and everything to gain. Keep in mind that you have up until final payment to change your plans without penatly. If something unforseen were to occur that prevents you from taking your vacation as you planned, you can change your plans or cancel your trip. For those unforseen issues after final payment, be sure to take cruise insurance. 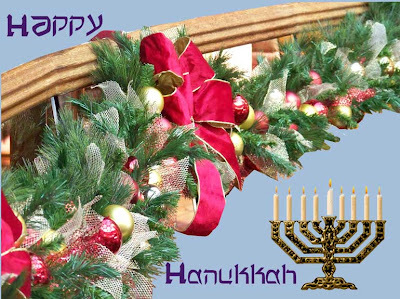 Holiday greetings to all on this Christmas Day. I hope this day finds you surrounded by family and friends. For the men and women serving our country, a special holiday greeting - may the peace of Christmas stay with you now and until you are safely home again. Thank you for your service. May you be home with family and friends very soon. If you happen to be reading this while on a cruise ship, wish the crew members you see a happy holiday. You might not even consider this while having a great time, but today might be very difficult for them since they are away from their famiiles and friends. Some of them may have been away from home for months. The holiday season is one of my favorite times to cruise. I live in the midwest, so getting away from cold and snow is a big benefit, but also, the ships and ports are very festive. The picture above was taken during the Holiday Show earlier this month while onboard Carnival Elation. The children participating in Camp Carnival had a special treat - they were part of the cast for the show. Imagine being on stage in front of hundreds of people at that young age. Another reason that I like to sail during this time of year is the ability to purchase unique Christmas presents in the various ports of call. I love shopping while on a cruise ... no long lines or angry shoppers to contend with. Plus the joy on the recipient's face when they open the gift and realize that it was purchased while I was on a cruise. Of course, gifts could be purchased for Christmas anytime during the year - just don't forget where you hide them. Whether you sailed away to a warm destination on a ship or traveled to be with family and friends, I hope that you had a wonderful Christmas Day. *Restrictions apply - cannot be combined with certain other offers (such as group bookings) - contact me for details. this add-on package with your cruise vacation and benefit from special onboard activities and privately guided port experiences that will immerse you in the cultures and sights of the Mediterranean region. Pack your bags and set sail on a Disney adventure packed with double the magic. Onboard you'll find something special for every member of your crew – like uniquely themed restaurants, worldclass entertainment and unsurpassed service. In the ports, two Disney trained Adventure Guides give VIP treatment and authentic experiences you might miss on your own. You won’t have to worry about planning your excursions, or missing the best your destination has to offer. Adventures by Disney will take care of the details for you! Each evening, and during days at sea between destinations, you will enjoy exclusive special activities and the dedicated VIP service of two Adventure Guides traveling with the group onboard the ship. You will explore the ports of call with the same two Adventure Guides. Destinations will come to life in the most imaginative and personal way possible through the storytelling of renowned local experts, special access and VIP entrances to major sites, unique story-based meals, and special surprises that only Disney would think of. Royal Caribbean International introduced a new air/sea program called ChoiceAir this year. It is a new way for guests to buy their air transportation to and from their cruise vacation. Guests are able to purchase their airline tickets at the best available prices, when they are booking their cruise. The program is different than traditional air/sea programs in that customers select their own flights from all published airline schedules and fare types. Guests may book directly on the website, over the phone with Royal Caribbean, or through their travel partner. No matter who makes the ChoiceAir reservation, the guest is assured the best value for their cruise by tying their airline reservations to their cruise. When guests use ChoiceAir, Royal Caribbean can monitor travel to the ship, and step in to help should they run into trouble in transit. They will ensure the Guest makes it to the ship or if necessary work with the airline partners to get them to the next port-of-call, whenever possible. The ChoiceAir website filters air displays to fit the cruise time parameters, allows a guest to use different credit cards to pay for each guest in a reservation, links the air reservation with their cruise reservation, and provides optional airport to seaport transfers. ChoiceAir is offered for Domestic flights and also in many International Markets. There is a $15.00 per person non-refundable service fee for domestic North American destinations and $25.00 per person non-refundable for International destinations. Purchasing your flights through ChoiceAir is similar to doing so directly with the airline. All tickets are subject to the airline's rules. Generally on a nonrefundable ticket, the guest may re-use the ticket, subject to any fees imposed by the airline. You will be subject to any penalties or restrictions imposed by the airline. Guests may call the ChoiceAir Support desk and change or cancel the reservation. For more information about ChoiceAir consult the website or call your travel consultant. Flights can be added to a cruise reservation via ChoiceAir up to 7 days before your cruise. From time to time, Royal Caribbean will have ChoiceAir promotions, such as the one which is currently in progress. Imagine sailing aboard the largest, most advanced Freestyle ship ever built to the tropical islands of the Caribbean from the hip beaches of Miami. You could be there, aboard Norwegian Epic, taking in her state-of-the-art design, world-class restaurants, new wave accommodations and the most happening and sophisticated nightlife at sea. Be among the first to experience the next generation of Freestyle Cruising® aboard this impressive ship. It is, quite simply, the most exciting experience available at sea. While onboard Carnival Elation this past week, holiday decorations were hung from the railings (above) as well as the posts in the public areas. In Ensenada, the shops and street posts were also decorated. Holiday time is a time for families. Regardless of the holiday that you celebrate, there is one common theme ... spending time together as a family to celebrate the holiday. As I walked along the decks of the ship and saw the decorations, I couldn't help but think about the ship's crew. For the most part, the crew will not be spending time with families this holiday season. They will be onboard providing service to passengers just like they do every day of the year. We sailed out of San Diego on this cruise. In the airport, around town, and even on the ship, there was a military presence due to the various bases in the area. My thoughts about the holidays drifted to the families and service men and women who, just like the crew, will be separated from their families at this holiday time. Whether you are together for the holidays or separated by many miles, may this be a season filled with joy and happiness. Thank you to those that serve, both on the ships and in the military - our thoughts are with you and your families during this time. Happy Holidays to All. Azamara Cruises Becomes "Azamara Club Cruises"
Miami - (December 08, 2009 ) - Azamara Cruises - the two-ship brand launched in 2007 with the 694-guest Azamara Journey and sister ship Azamara Quest - today became "Azamara Club Cruises," with a newly refined focus, and a series of new attributes designed for upmarket, experienced travelers. "This isn't a strategy of going 'from good to great'," said Azamara Club Cruises President & CEO Larry Pimentel. "This is about taking an already great product and making it exceptional." Tapped to take the helm of Azamara Cruises in July of this year, Pimentel spent several weeks talking with travel agents, past guests and press to determine how to make his great-to-exceptional goal a reality. He also tapped a small new team focused 100 percent on Azamara, including VP of Sales & Marketing Edie Bornstein, AVP of Hotel Operations Bert Van Middendorp, Director of Marketing Signe Bjorndal, Director of National Accounts Michelle Nevin, and an eight-member field sales team dedicated solely to Azamara. Together, Pimentel and team shaped the new Azamara Club Cruises, whose most distinguishing new attributes will be in effect by April 2010. "Today's cruisers have incredible new vacation options - like Celebrity's stunning Solstice Class, and Royal Caribbean's Oasis of the Seas," said Pimentel. "Azamara Club Cruises will distinguish itself by delivering the destination like no other line." Azamara Club Cruises will visit 140 ports in 50 countries in 2010, with itineraries featuring more overnight stays to allow guests to immerse themselves in communities and cultures. Among the overnight locations are Istanbul, Turkey; Sorrento, Italy, which offers a host of tour options along the Amalfi Coast and Capri; a full three days and two nights in St. Peters burg, Russia, on Azamara's Scandinavia and Russia itineraries; and multiple overnight stays in Azamara's Southeast Asia region, including Ho Chi Minh City, Bangkok, Singapore and Hong Kong. "We're going to slow down the tempo, and allow our guests to not just see the destination, but to live it," said Pimentel. "Consider destinations like St. Tropez or St. Petersburg, Russia. If you've experienced them only by day, you haven't really experienced them. With Azamara, through more overnight stays and late-night stays, you can." The destination focus of Azamara Club Cruises inspired the brand's new tagline - "You'll love where we take you" - and will extend to its shore excursions, too, an essential ingredient to allow guests to truly experience a community and its culture. Azamara has created distinctive two-day packages tailored to the overnight destinations, to make it easy for guests to immerse themselves in each location, whether it's Dubrovnik, Croatia; Odessa, Ukraine; Livorno (Florence), Italy, Warnemunde (Berlin), Germany, or London, in addition to Sorrento and St. Petersburg. Azamara also will offer experiences such as a two-night package from Bangkok to Laos; an overnight tour from Hiroshima to Osaka via bullet train; a three-night experience from Mumbai including a visit to the Taj Mahal; overnight tours in Israel between Ashdod and Cairo, and a Grand Egypt tour featuring the best of both Luxor and Cairo. Among Azamara's specialty tours include a Ferrari driving tour in Civitavecchia, Italy; a walk down memory lane in Liverpool with the "In the steps of The Beatles" tour; a private demonstration of chocolate flavors in Dubrovnik; a "Theatre A La Carte" evening in London; Croatian liqueur tasting in Zadar; an Imperial Russian Court evening at Tsarskoye Selo in St. Petersburg; an evening gondola serenade in Venice; and high tea at the Burj al Arab Hotel in Dubai. Praised for its dining experience since its founding, Azamara will continue to place a heavy emphasis on fine cuisine, and will expand its focus on wine to include vintages from boutique wineries around the world. Guests will have the opportunity to taste high quality wines that may be unavailable at home, because the selected vineyards produce a strictly limited quantity each year, distributed primarily locally. The featured wines will be offered complimentary at lunches and dinners on every sailing. Wellness and vigor will be a core component of the Azamara Club Cruises experience, too, with onboard and land-based experiences designed to help guests feel and look healthier and more youthful. Azamara's aim in wellness and vigor is to help guests balance their physical, emotional, social, spiritual and intellectual needs through massages, facials and other spa treatments, as well as acupuncture, yoga, Pilates, and enrichment programs. The newly refined brand also is intensely focused on offering an intangible attribute essential to a successful upmarket product: exceptional service. "Extraordinary service is paramount with Azamara Club Cruises," said Pimentel. "We know every travel and hospitality organization proclaims it's committed to great service, so what will make Azamara stand out? First, our butlers will be trained to be true English butlers, to offer that fine balance of anticipatory, pampering, yet non-intrusive service to guests in every suite." Guests in staterooms will be served by the line's host of experienced stateroom attendants. Azamara Club Cruises also will offer many inclusive amenities, with the following included in the cruise fare beginning with the first voyages in April 2010 on Azamara Journey and Azamara Quest: a specific brand of bottled water offered at no charge throughout the voyage, whether in public venues or in staterooms; specialty coffees and teas; housekeeping and dining gratuities; shuttlebus service to/from port communities, where available; destination-influenced entertainment and enrichment programs; most meals and room service; house wine at lunches and dinners; and self-service laundry. Specialty dining in Azamara's intimate Prime C steakhouse and the Mediterranean-influenced Aqualina will be complimentary for suite guests for the duration of their cruise. Cruisers who can't get enough of Azamara will be invited to join the line's new loyalty program, "Le Club Voyage," with specific features and benefits yet to be announced. 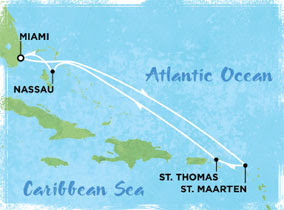 For more information, call your travel agent, dial 1-877-999-9553, or visit http://www.azamaraclubcruises.com/. For information about the ships and itineraries, click here. I'm writing this from the internet cafe onboard Carnival Elation. The Elation sails from San Diego for a fun-filled 3 night cruise to Ensenada, Mexico. It is the perfect weekend getaway from the West Coast. When we left San Diego, the weather there was perfect. There wasn't a cloud in the sky and the temperature was in the upper 60s - much better than the 27 degrees back home. Last night there was the customary welcome aboard show in the main theater. The cruise director, Steve, welcomed the largest group onboard the vessel. This is the First International Cougar Cruise. They caused quite a stir in San Diego, making the local evening news. So far, they've been pretty tame. When we boarded the ship, the crew had been putting up the holiday decorations. It is quite festive onboard with the holiday atmosphere. Today was a sea day. It has been an overcast day, but that hasn't stopped the usual onboard fun such as the hairy chest competition. Despite the cool weather, the pool areas were filled with well-wishers for the competitors. My favorite spot on the ship is the Serenity Pool area. This is an adult-only venue with plenty of lounge chairs and two hot tubs. If you want to relax, this is the perfect place to hang out. Tomorrow we arrive early in Ensenada, Mexico. I'll tell you more about Ensenada in future posts. I'm off to the holiday show now featuring the Carnival Singers and Dancers and the Camp Carnival children. Guests onboard the Oasis of the Seas December 1, 2009, special voyage will be the first to experience improvements to Royal Caribbean International's private beach destination of Labadee, Haiti. This private beach resort has been a longtime favorite for cruisers on Eastern and Western Caribbean itineraries. The multi-year project, which began in the summer of 2007, was a joint venture between the Haitian government and Royal Caribbean International. The major enhancement was the renovation to the island's pier to allow for the accommodation of Royal Caribbean's Freedom- and Oasis-class ships. The dining venues and upland areas underwent a major overall including the construction of new bars and the renourishment of area beaches. According to Royal Caribbean, all renovations to the pier and dining venues have been completed, establishing a 57 percent growth in dining capacity and introducing a new pier area that stretches 1,300 feet (Pier and Trestle) in length and allows the berth of the 225,282 GRT Oasis of the Seas. Two areas new to Labadee and central to the redesign of the destination are Dragon's Plaza and Labadee Town Square, both of which offer convenient meeting places where guests can enjoy the rich Haitian culture and take in shopping, shows, cultural activities and other memorable experiences. Within Dragon's Plaza, Columbus Cove Beach offers family-friendly attractions including water slides, which complement the area's aqua park. Labadee Town Square boasts an expanded version of the popular artisan market and a festive atmosphere that comes alive with music, folkloric dancers and more. The new Dragon's Tail Coaster offers a high-speed ride through 2,232 feet of the destination's tropical flora and rock formations. Upland-area favorites like Barefoot Beach Club, dedicated for the use of Royal Caribbean's suite guests, offers enhanced food and beverage services, and a total of 20 private cabanas are available for rent along the water's edge and within the hillside areas. The spa facilities at Barefoot Beach have also been revamped to provide an Oasis-like feel, and an expanded area has been set aside for yoga classes and other spa services. "Oasis will offer a new dimension to our onboard guest experience," said Adam Goldstein, President and CEO, Royal Caribbean International. "These new major additions to Labadee will further expand offerings for our guests, and we couldn't think of a better way to celebrate the first sailing of Oasis of the Seas than with a special cruise to our already popular private beach destination." The new adventures join a list of already popular activities, including the Dragon's Breath Flightline, which was introduced in 2007 and offers pristine aerial views of Labadee's coral reefs and crystal blue waters for individuals brave enough to take the ride down the 2,633 foot cable zip-line. Labadee's Wave Jet Adventure also is still available, offering guided journeys down one of the wildest coasts in the Caribbean via personal SeeDoo watercrafts. What's Your Cruisin' - ality? 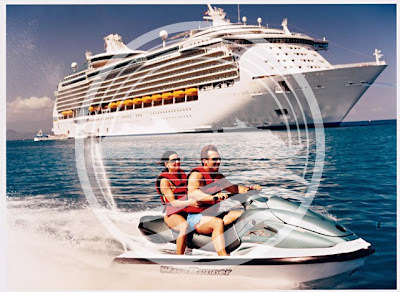 Luxury Special Offers by Cruises Inc. Awesome Inc. theme. Theme images by piskunov. Powered by Blogger.